Kelly Dodd is at war with Real Housewives of Orange County co-star, Tamra Judge — after a filmed/leaked exchange between Tamra and Shannon Beador re-exposed Kelly as an alleged abuser. In the following leaked footage, Tamra spilled the beans about Kelly pushing her mother down a flight of stairs. On April 14, AllAboutTheTEA.com exposed Kelly Dodd’s brewing legal trouble, stemming from a February bar brawl, and blasted Kelly for pushing her mother down a flight of stairs. Kelly , 43, has since announced a family reconciliation between herself, her younger brother, Eric Meza, and her mother, Bobbi Meza. A production insider dished to AllAboutTheTea.com — and confirms that Kelly Dodd is entrenched in a frantic damage control campaign. “Kelly’s storyline this season revolves around her chaotic relationship with her family,” reveals the source. EXCLUSIVE: KELLY DODD VICIOUSLY ATTACKS VICKI GUNVALSON IN SHOCKING AUDIO! The insider claims that Tamra’s red-hot reveal collides with Kelly luring her family into a fictional reconciliation. In January 2018, Eric Meza openly accused his sister, Kelly, of verbally abusing and pushing their mother down a flight of stairs in a scathing Instagram post that has since been amended (as of April 15, 2019). Read below. AllAboutTheTEA.com obtained exclusive video in September 2018 of Bobbi Meza herself confirming the shocking stair incident. Press play to watch below. 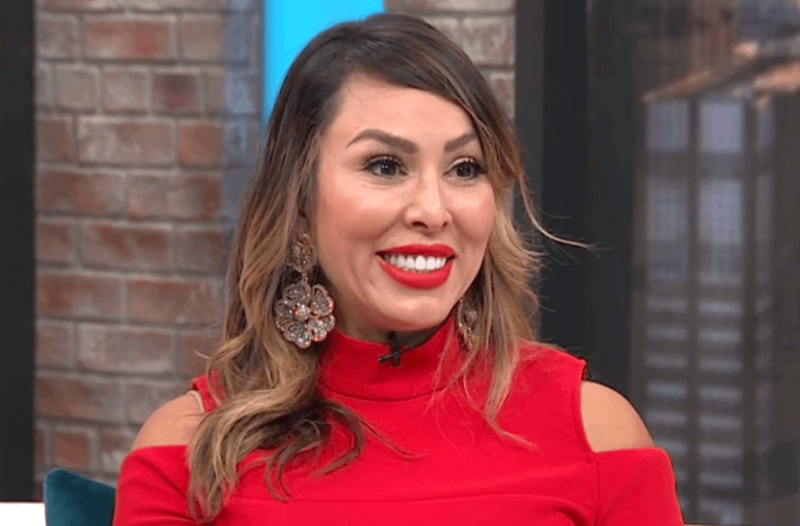 EXCLUSIVE: KELLY DODD’S MOTHER SAYS ‘RHOC’ DAUGHTER PUSHED HER DOWN A FLIGHT OF STAIRS! As reported, Kelly got into a bar fight at the end of February 2019, and the victim is in the process of pursuing legal action against the unhinged reality star. Our insider explains that Kelly’s mother’s health is in a very fragile state — and that she just wants a peaceful life. “Bobbi’s arteries are 90% clogged and she’s gearing up for major surgery. She caved to Kelly’s demands to have peace in her life,” the source tells AllAboutTheTEA.com. As reported, on February 9th, Bobbi Meza was rushed to Banner University Medical Center in Phoenix, Arizona, after suffering heart related complications. Will Kelly Dodd be able to sell her reinvented family dynamic to skeptical fans? Sound off in the comments! The Real Housewives of Orange County will premiere later this year.